The Senior Brass band is currently one of the regions most successful Championship brass bands, conducted by Daniel Brooks. 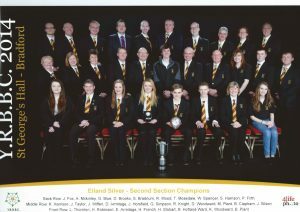 In 2017, the band was will be promoted to the Championship Section, where it competes in the Yorkshire Regional Championships alongside some of the finest bands in the world. The band has a very active Calendar of local concerts, where we support a number of charities and also to raise funds to support the running costs of the band. The band has also performed on the ITV dramas “Where the Heart Is” and “Last of the Summer Wine”. The bands repertoire is very comprehensive including arrangements of popular orchestral classics, from film music to jazz and popular selections, and of course, brass band standards and marches. All of our members are amateur musicians, many come from different walks of life, several members are under 18 years of age and have graduated into the senior band from our youth band. Many of the plays have been with the band a number of years. In 2012, the band become 3rd Section, Yorkshire Regional Champions and represented Yorkshire at the National Finals held at Cheltenham Racecourse where they finished in 2nd place. 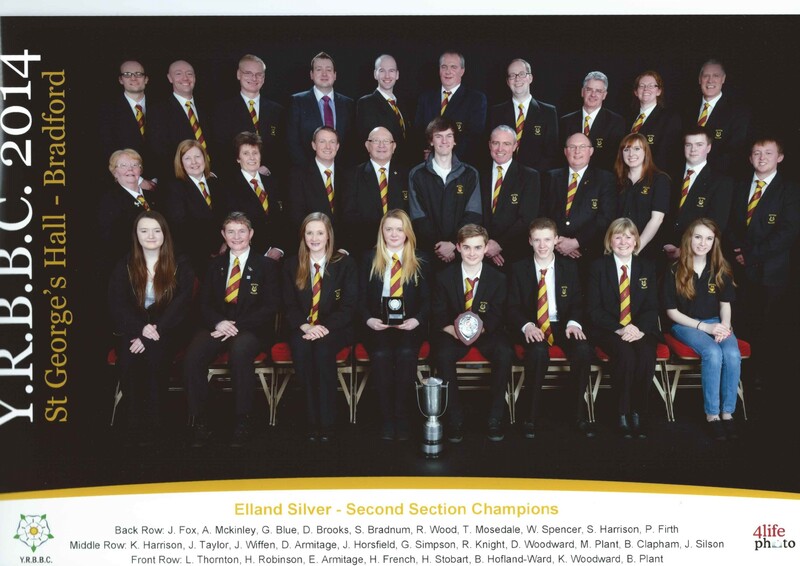 2013 saw the band promoted to the 2nd Section and once again the band qualified for the National Finals, after finished second in the Yorkshire Regional Championships. Then in 2014 the band went on to become 2nd Section Yorkshire Regional Champions and once again represent Yorkshire at the National Finals. This result also gained the band promotion the 1st Section. 2015 was a momentous year for the senior band. The band really established itself in the 1st Section, finishing 6th place in the Regional Championships. The band also became Hardraw Scar Champions and also Yorkshire & Humberside Brass Band Champions. The band were also runners up in the championship section at the Buxton contest and the Brighouse March Contest and were placed 3rd in the 1st Section at the Bolsover Entertainment Contest. 2016 is also proving to be a very successful year, with an excellent 4th place result at the Regional Championships, securing promotion to the Championship Section and an excellent set of results at the annual Whit Friday March Contests. The band are now preparing for a busy summer season of concerts and march contests. 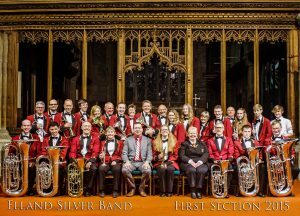 In 2017, the band was placed 9th in Yorkshire Regional Championships, and went onto have a very successful whit friday. 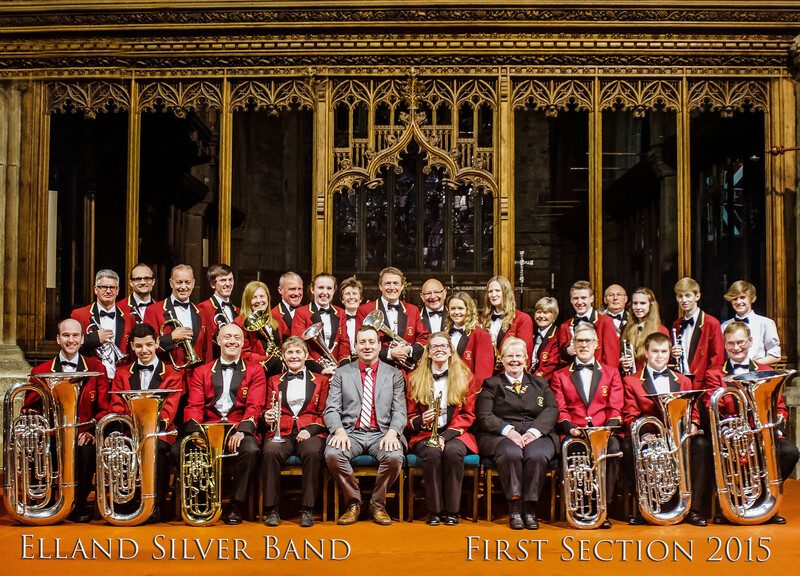 Further success was celebrated by winning the Championship Section at the Bolsover Festival of Brass, gaining an inviation to compete in the British Open Senior Trophy in May 2018. Rehearsals take place on Monday and Thursday evenings from 8.00 – 9.45pm at our headquarters in Dewsbury Road, Elland. For directions please visit our Finding Us page. If you would like more information about the senior band or would like to book us for an event, please visit our Contact Us page.